According to Consumer Federation of America, most Americans are not saving adequately for retirement, and most lower-income households do not have adequate emergency savings for unexpected expenditures like a car repair. Helping families make savings a priority, Virginia Saves, a local campaign of America Saves, offers several opportunities for individuals to grow good savings behaviours and to assess their own saving status during America Saves Week February 25, 2013 – March 2, 2013. 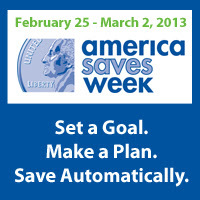 The theme of Saves Week is to Set a Goal, Make a Plan, Save Automatically. With the campaign, Virginia Beach residents are encouraged to build wealth, not debt. Virginia Beach Human Services Department is a partner organization and includes this campaign as a component part of their Financial Empowerment program. For the third year, Mayor William Sessoms, Jr. has issued an annual proclamation for Virginia Saves Week encouraging residents to make savings a priority. Super Saturday tax preparation event will be held February 23, 2013 at Pembroke Mall to kick off the week of savings. Families with household income of less than $51,000 are encouraged to take advantage of free tax preparation resources. 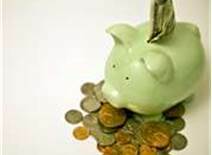 Other savings incentives include a monthly savings drawing for new savers and a Piggy Bank Contest for young savers. Piggy Banks can be created from materials around the home and decorated. Grand prize is $100 for the winners. Children ages 4 - 12 can enter a pig of their own by following instructions in entry form. Information about the rules and submission deadlines for piggy banks can be found at www.virginiasaves.org.